On Sunday mornings our young people aged 10-16 alternate between attending our more informal 10am services, and meeting as a group at the GRID, where they have opportunities for fellowship and exploring and developing their faith. 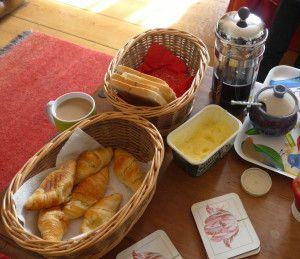 On the first Sunday of the month, the GRID takes place at the Vicarage, Sherborne Street for the Big Breakfast – a cooked breakfast and topic-based Bible Study. Other Sundays, we meet at 10am in Church Cottage Kitchen for tea and toast, then head upstairs for discussion and Bible study. Young people from The Grid actively share in church life through playing in music groups, operating the projector, serving on the coffee team, and joining teams for our holiday Bible clubs and ‘Explorers’ after-school club. If you have a disability and may need additional arrangements made, please contact us and let us know what we can do to make joining us as easy as possible. For more information about what’s happening for young people at St Lawrence contact Kate Cinnamond on 01367 253651. Young people who attend St Lawrence frequently join midweek groups like; the Quench youth discussion group for age 10+ meeting in Fairford on Tuesday at 6:15pm; the Thirst Group for age 15+ who meet on alternative Monday and Tuesday evenings and residential trips organised by the South Cotswolds Team Ministry Youth Worker. As part of the wider work of the South Cotswolds Team Ministry, our SCT Youth Worker, Chris Saunders, oversees work amongst Y6 and secondary school students. This includes Christian clubs in local schools, evening groups, confirmation preparation, regular activity days and group trips to Christian festivals such as ‘Soul Survivor’ – offering opportunities for faith, fun and friendship. For more details about these activities please contact Chris Saunders on 07918 732040 or saundersc2014@gmail.com.